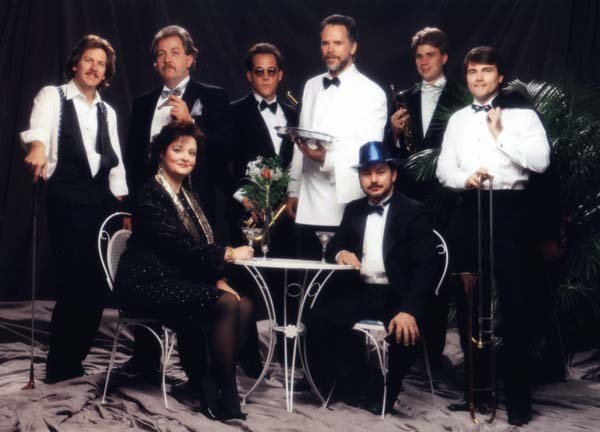 "The Manhattan Dance Orchestra is a terrific band. The bride and groom were dancing until the last note was played." "I highly recommend The Manhattan Dance Orchestra." "You all were fabulous! Better than I ever dreamed! We had lots of inquiries and lots of compliments. Everyone wanted to know who you were." "The Manhattan Dance Orchestra was just the best !!! The Music at Paige and Evan's Reception was great and left us with a lot of wonderful memories and MANY, MANY COMPLIMENTS." "Our Family certainly appreciated the hard work." "The Manhattan Dance Orchestra made our wedding reception rock! You greatly exceeded our expectations. We danced the night away. I will highly recommend you." "Believe me when I tell you... you are the best band I've ever heard! Everyone was dancing the entire time." "For us, it was a dream come true." "Everyone loved the performance of The Manhattan Dance Orchestra. Folks here at the club say you are the best band they had heard in years."